When you enter Greece's mountainous peninsula, with its long coastline and unique archipelago, you are returning to the cradle of Western civilization. And while the ancient Greeks fashioned our political, ethical, aesthetic, and scientific values, their descendants down the ages have continued to set trends and shape world events. The Greek character is a product of the landscape. Surrounded by sea on three sides, the physical features of the land forged the pronounced individuality and strong local patriotism of the warring city-states of antiquity. Their shared history and language formed the basis of a powerful world culture. Today it is coming to terms with its recent economic and political upheavals. The Greeks have repeatedly proved they can adjust and shift their expectations—the new generation knows the old ways have gone and is bracing itself for unpredictable challenges. Culture Smart! 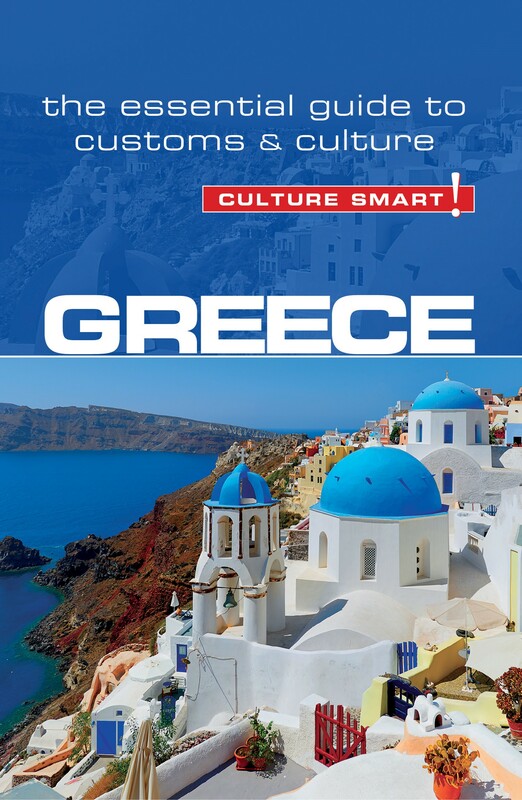 Greece will equip you with essential information about the background, values, and attitudes of the people you will meet and give practical advice on how to deal with unfamiliar situations. Life in Greece operates on many criss-crossing levels, offering plenty of possibilities and a variety of lifestyles. Visitors emerge from their Greek experience enriched for life, with an enduring affection for this beautiful land and its gifted people. You may encounter situations where your interlocutor will be gently eased away from you to talk in private. Don’t be alarmed or feel uneasy, this is usually done to make the receiver feel a little special and worthy. Copyright © 2017 Culture Smart!